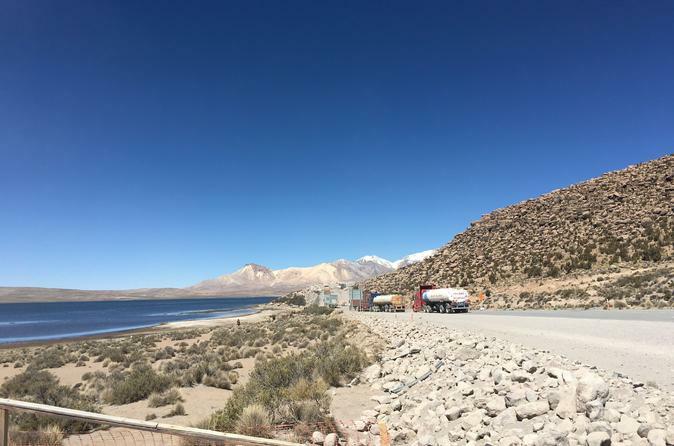 Escape the tourist trail on this full-day tour from Arica, and explore the wild landscapes and archaeological wonders of Chile’s far north. 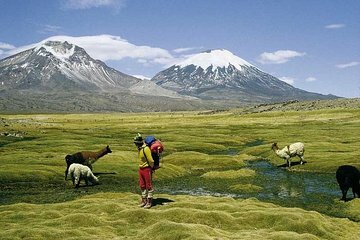 Discover the sweeping valleys and volcanic peaks of the Lauca National Park; spot rare birds around Chungará Lake and visit the historic villages of Parinacota and Putre. After lunch (included), journey back through the Lluta Valley stopping to admire the mysterious geoglyphs and view the towering candelabrum cacti in Los Cardones Ravine.